1. 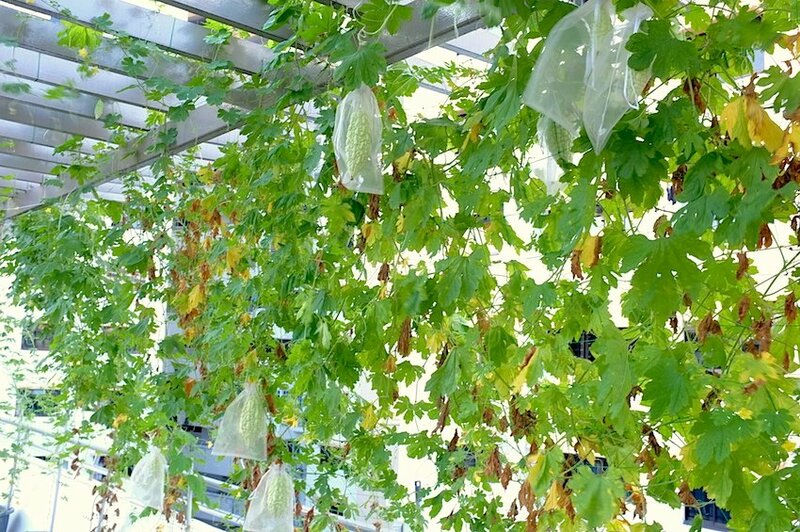 How did you all come together to initiate a rooftop community garden in this space? 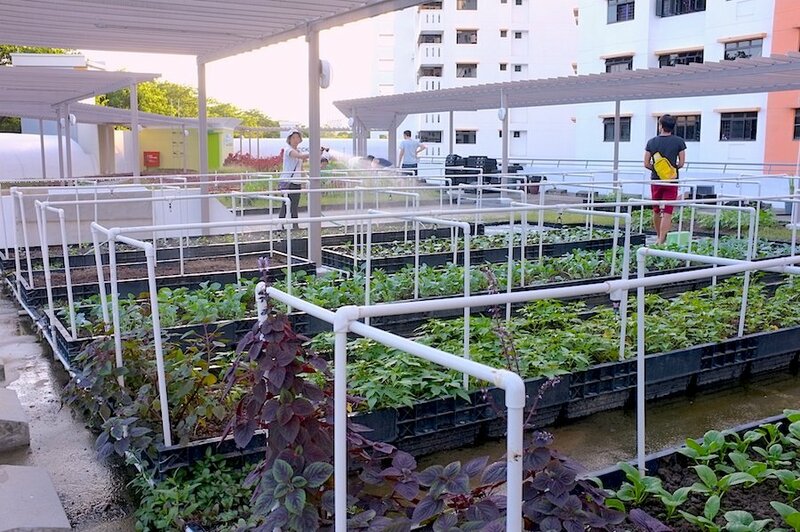 It was part of HDB’s Bedok Branch Office’s plan to have a rooftop garden in the estate. We (the Resident’s Committee and myself) saw the opportunity to integrate a community edible garden into the project and work out the plan with them and the Town Council. 2. 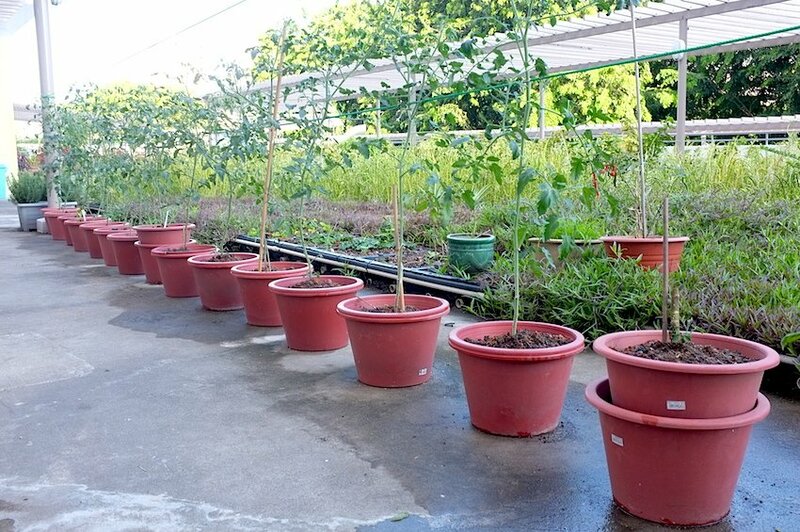 How do you manage resident expectations when it comes to growing edibles, since everyone has different ideas of what they would like to grow? Yes, indeed it was a challenge in the beginning as each of us wanted to grow different edible and even ornamental plants. 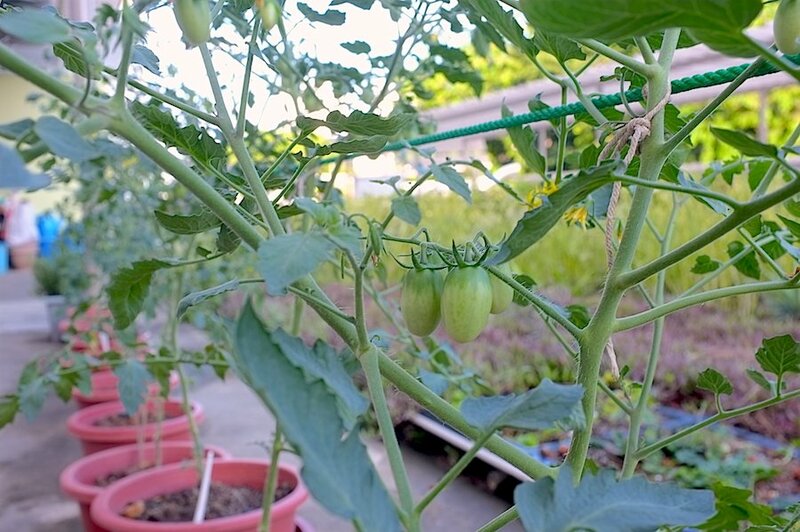 However as I envisioned this to be Community Farm (not garden), I stayed firm on the vision and listed out all viable edibles for growing, and convinced members who subsequently joined us – to adopt this and the guidelines we established for the garden. 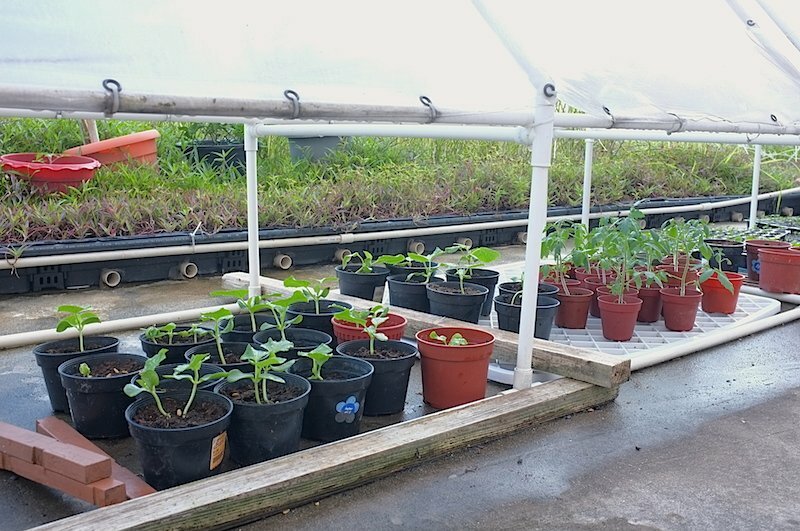 We also empower members to test out growing any edible plants on a small scale. This lead to the introduction of some Chinese medicinal plants which most of us had no knowledge of growing in our garden. 3. 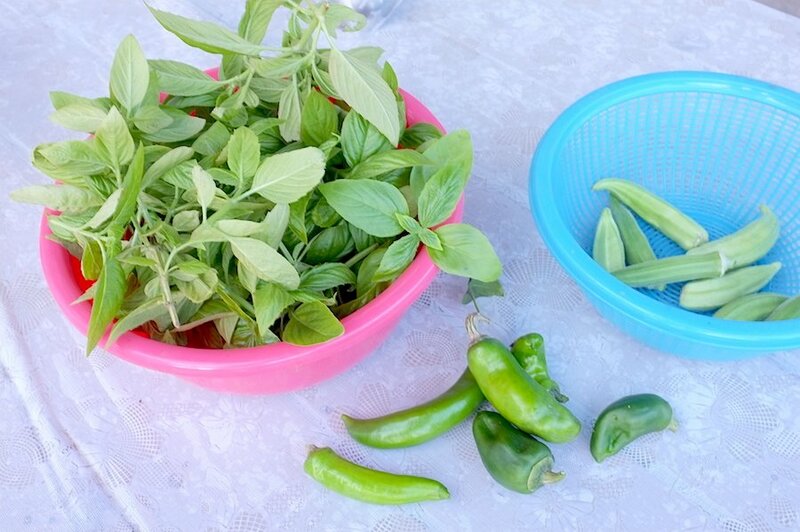 How do residents get together to maintain the garden? Is there a system when it comes to managing this space, and mobilising the community? Yes we have a duty roster. We currently have about 10 core members and 10 others who join us ad hoc. 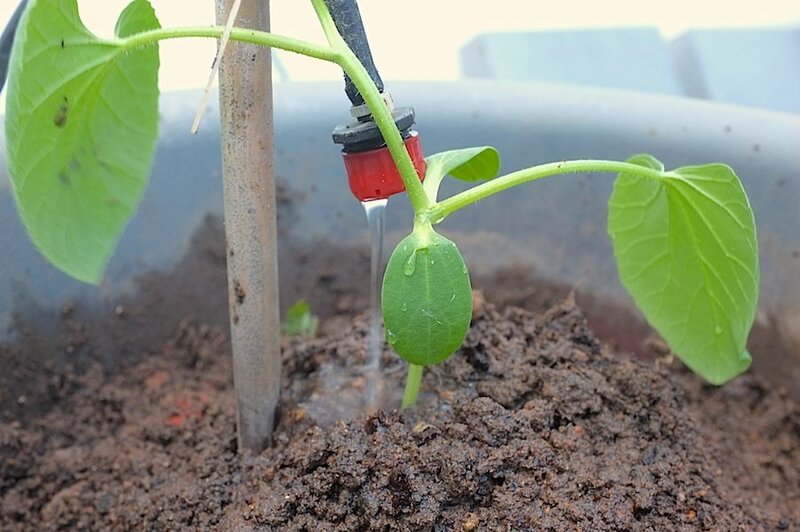 Members who are homemakers take up daily “duties” for watering and maintenance on weekday morning and evening. We will all gather during the weekends to seed, transplant, harvest and carry out necessary repair and upgrade work. 4. How do you ensure that everyone gets their fair share come harvest time? 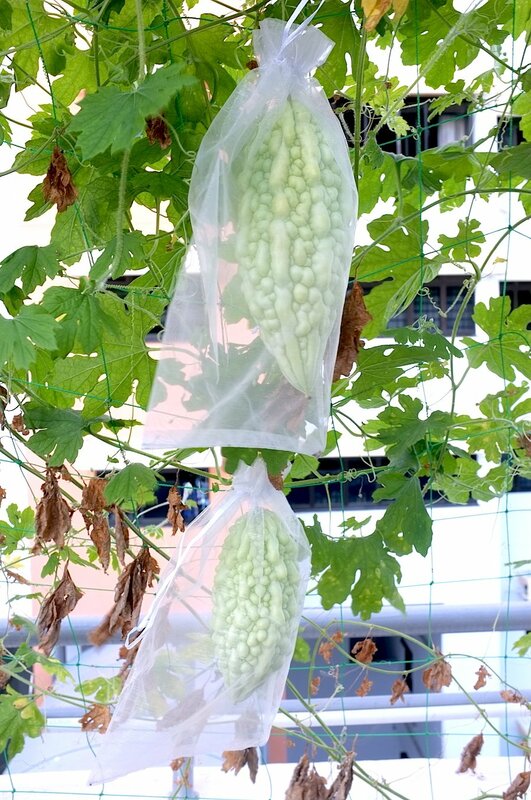 We adopt the concept of communal farming. No allotment of plots. It is unavoidable that some will get less than others at times. I am glad that so far our members and volunteers are understanding. In fact some of us don’t bring much back as they don’t cook at home. 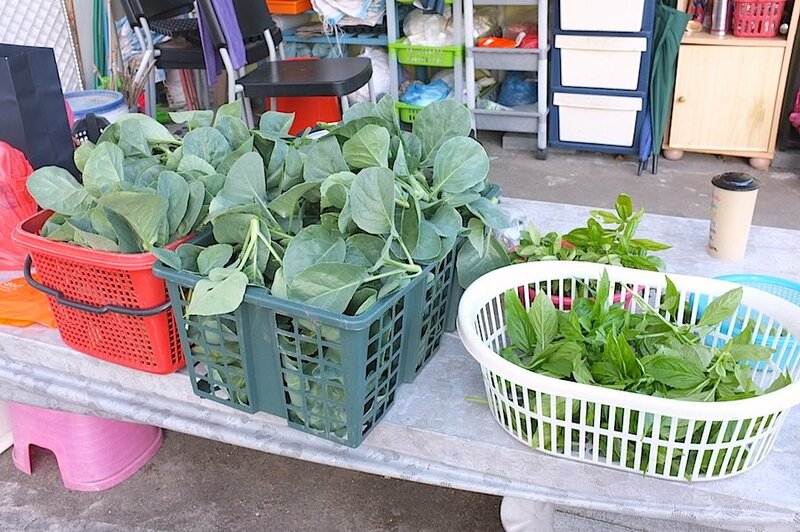 As for fruits or melons which has smaller yield, few of our members will prepare dishes or dessert with the harvest and share with everyone at the garden. 5. 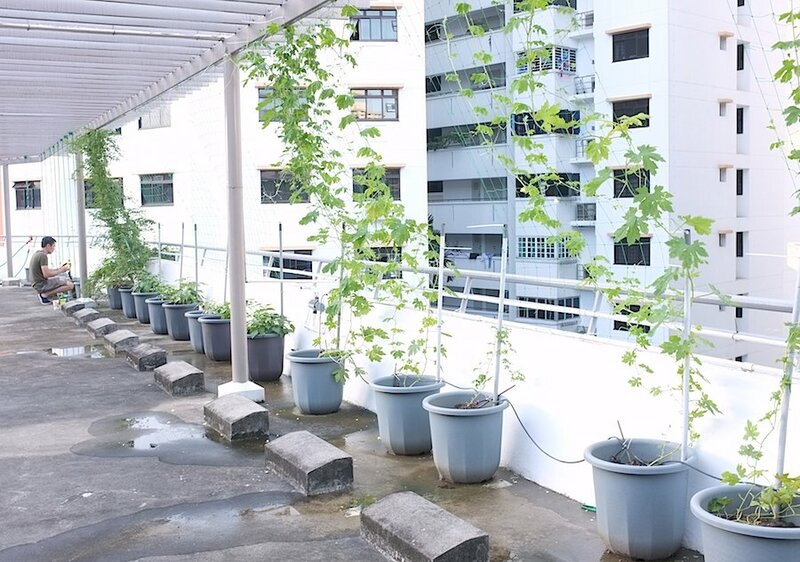 Did you encounter any challenges in the process of setting up this rooftop community garden, and what are some lessons that you’ve learnt from being involved in building this space? The biggest challenge was convincing people on the idea of communal farming. Many came and go when they realised that they will not be getting a “private” plot. It took about 9 months to form a small group of like-minded residents. 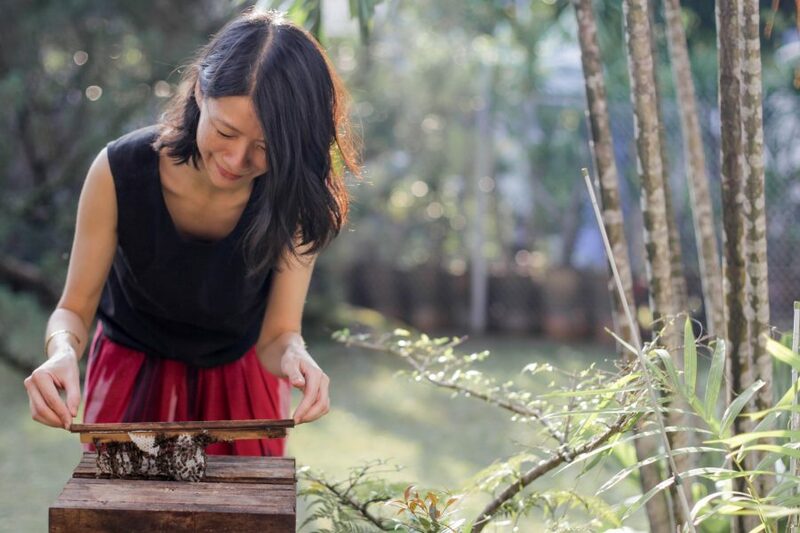 Beside the know-how of setting up a small farm, I learned much about managing and influencing stakeholders; government agencies, Town Council and residents. So often it is about having faith, taking the lead and show them it is do-able. 6. 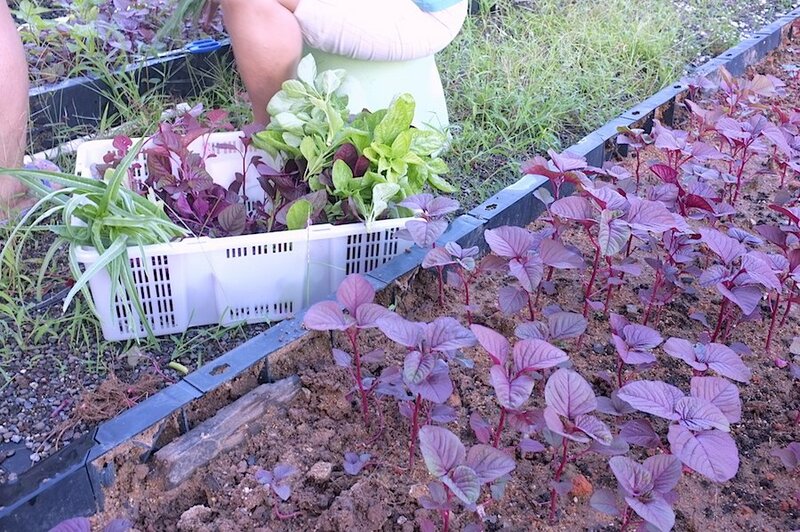 Do you have any advice for people who might wish to set up a community garden in their neighbourhood? Plan big, start small. Have lots of patience. Plan for a real Community Garden or Farm which residents can freely enjoy the process and the harvest together and not a “private community garden” which is only accessible by a few gardeners who were lucky enough get a balloted plot. 7. 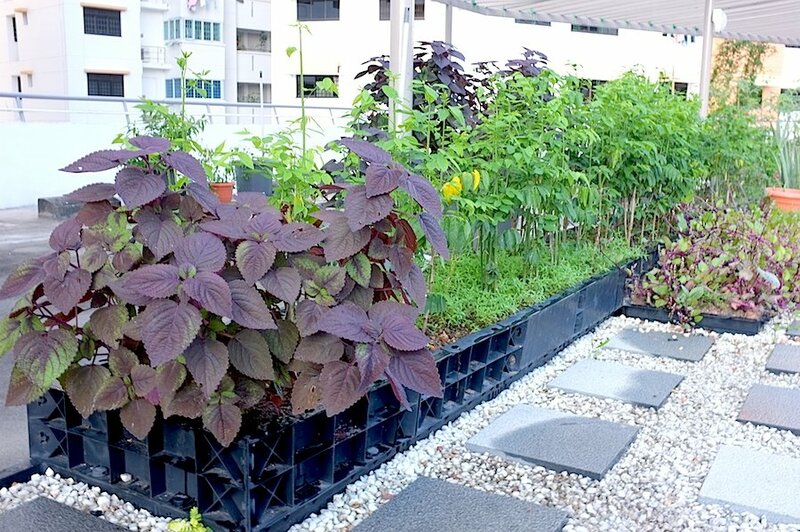 What else would you like to see with this rooftop community garden? When we have more experienced community farmers, we hope to conduct more workshops for residents and students from nearby schools. We did two over the last year, and we hope to conduct workshops monthly. 8. 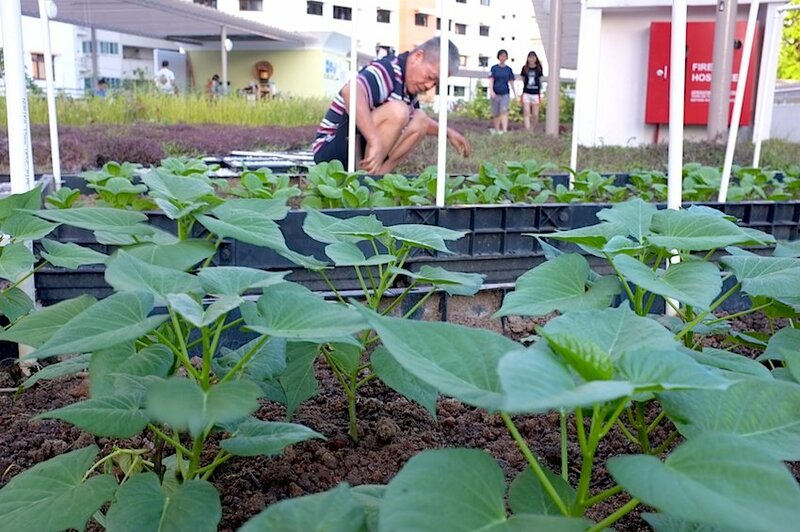 You have been quite resourceful in sourcing food waste for use as fertiliser in your rooftop community garden. What are some of these free inputs you use? Okara, coffee beans and coffee grounds from nearby food factories (Bedok North Ave 4), egg shells from residents and a fried carrot cake stall, as well as banana skins from a goreng pisang stall. Thank you, Desmond and Our Kampong Farm! 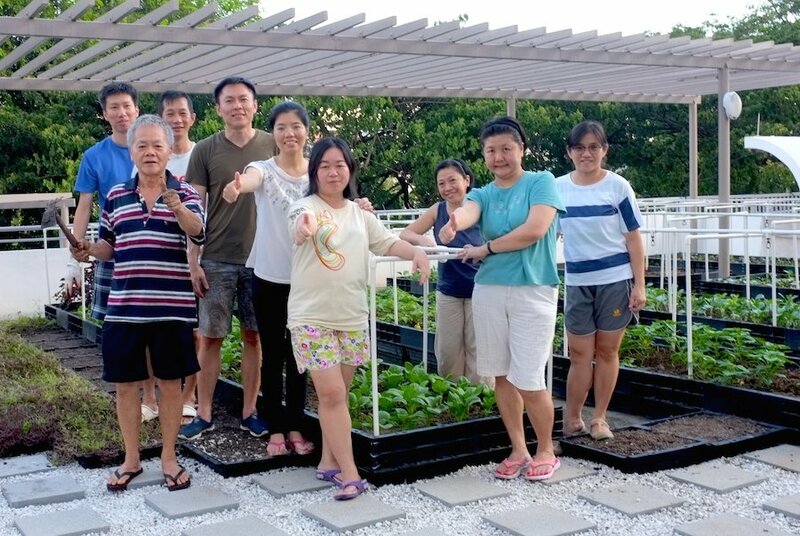 If you are interested in rooftop community gardens, you may be interested in our older post featuring Ong Chun Yeow’s allotment in Yishun.